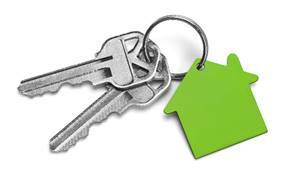 For a monthly fee we can hold a complete set of keys for your property or portfolio. This service is ideal if you require contractors, relatives or friends gain access to your property. We can arrange to sign out the keys to them for a set period. This may be helpful if you aren’t local or are too busy to meet contractors to allow them access. Keys would only be released once we have received written confirmation from you, our client. All our keys are held in a secure key-safe facility. Are you planning to leave your property empty for a long period of time? This could be if you use it as an additional residence/holiday home, selling or renting the property or are waiting for a legal process to complete (i.e. probate or divorce). Does your home/building insurance allow for vacant periods? If your time away from the property is for longer than their permitted term then they may ask for the property to be regularly inspected. Alternatively you may wish to have regular inspections for your own peace of mind; to know that the property is secure and that there aren’t any visible issues. We can also collect and send on any mail if desired (this may attract additional charges). Would you like your tenanted property regularly inspected by a property professional? For a set fee Southdown can inspect your property or portfolio and report back to with any findings or recommendations. After each inspection you will receive a detailed report, with photographs if appropriate, explaining what we have found and any recommendations we feel you should be considering remedying. We can then of course help organise and co-ordinate any necessary works if you wish us to. We are able to organise and administer these or other regulatory services required for tenanted properties. We will work with local approved and qualified contractors to carry out these regular necessary checks. If you have preferred contractor that meets our requirements we would be happy to work with them. If required we can then manage any works recommended by the contractor, making it easier and less stressful for you, our client. If you have any other property related areas where you need assistance please let us know and we would be happy to see if we can provide that service. Please contact us to obtain a bespoke quote for any of the above services – info@southdownsurveyors.com or 01323 739183. We approached Matthew when we were considering a small roof extension to our property. We were apprehensive about the planning and regulatory aspects and also about appointing a suitable builder. Matthew and his team quickly dispelled any concerns we had, and they seamlessly dealt with everything from assessing initial feasibility through to drawing up the plans and the Building Regulations application. For sensible advice and a total peace of mind package, we wouldn’t hesitate to recommend their services.